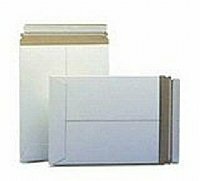 These paperboard stay-flat mailing envelopes are the perfect packaging solution for shipping photos, documents, diplomas or disks. 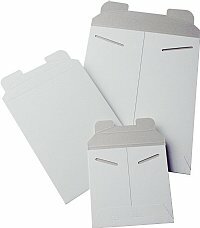 Rigid, sturdy lightweight mailers that will not bend or crush. 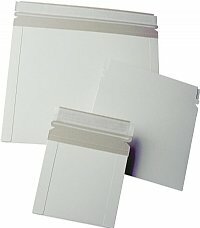 Available in Kraft or white tab-lock or white self-seal varieties. 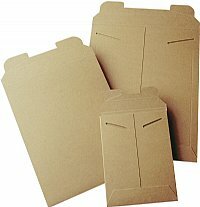 Some sizes available in Conformer ® heavy-gauge paperboard expansion mailer variety. All of these mailers are eco-friendly, 100% recyclable. 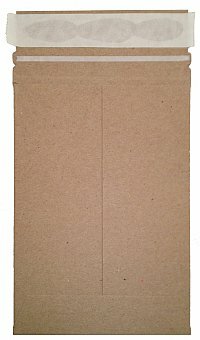 Most varieties are made from recycled materials. First dimension listed is the size of the opening of the mailer.